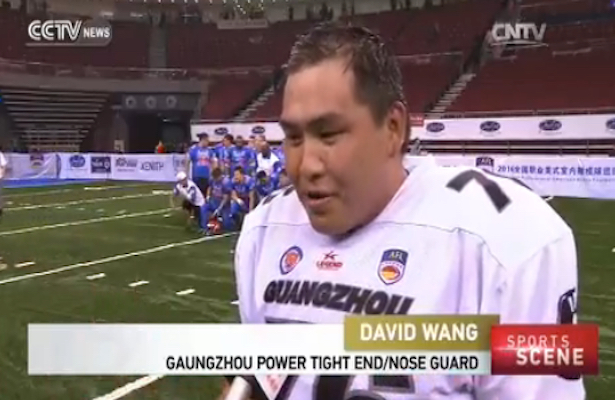 David Wang, tight end and nose guard for the Guangzhou Power is featured. David is the brother of Ed Wang, VP of League Development for the CAFL. Also featured is Bryan Randall, QB for the Qingdao Clipper. Bryan comes from the 2016 Arena Bowl Champions Philadelphia Soul AFL Team. Click here to visit CCTV and watch the interview.